To give your new strategy a headstart, take some time to understand what you need from your suppliers, and to consider their potential expectations and concerns. You have determined your brand strategy for sourcing more sustainable cotton and decided on the priority suppliers you will approach for support and cooperation. Now it’s time to explain your aims and make sure they understand the targets you are working to meet. One priority for this stage is to map your existing supply chains to identify any potential disruption that may come because of changing areas of supply and fibre mixes. What sustainable cotton options do you already offer? Where do you source your sustainable cotton from? You want to find out if your suppliers are using their usual cotton contacts or if there is another link in the chain. What certification systems do you have in place, if any? 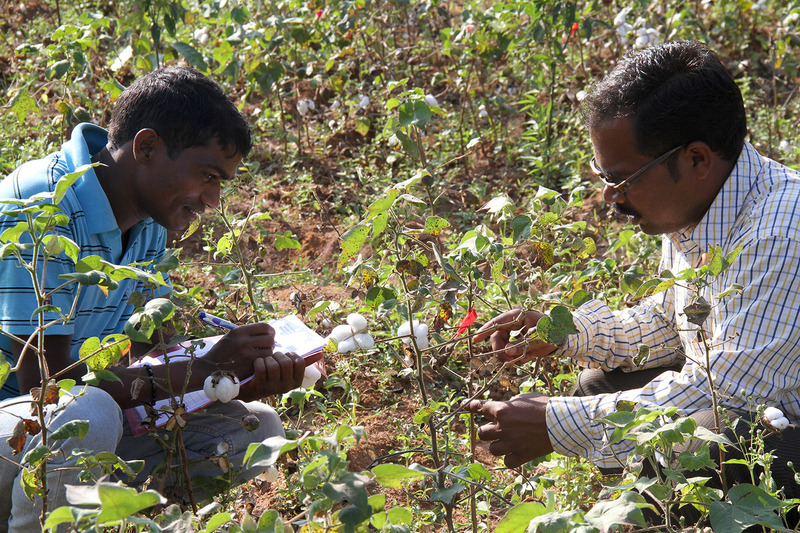 This is important for sourcing particular cotton types, such as the GOTS for organic cotton. Can you cost products in both conventional and certified organic cotton? What about other blends? If sourcing 100% certified organic cotton is too expensive, the cost of a blend might be a more viable entry point. In some cases (e.g. Recycled Cotton), a blend is necessary. Working directly with a mill or vertical supplier is usually the easiest way to access blends. Which clients do you already source for? Any pre-existing sustainable sourcing relationships allows you to check targets, policies and qualities. Look out for opportunities to ‘tag onto’ other orders – buying larger volumes can reduce costs for everyone. If you are not sourcing more sustainable cotton options already, are you able and willing to start? Your suppliers will have their own set of partners that supply their business, and – like you – they probably have preferred brokers or suppliers for cotton. This may become a barrier if your expectations create an impact upon on their costs or lead times. My suppliers can’t meet your needs – do you want me to change who I work with? If your supplier’s suppliers can meet your requirements, sourcing sustainable cotton poses very few challenges. However, if your suppliers need to change their suppliers to meet your needs, it will likely raise questions and concerns. Will you cover the costs to my business that come from your shift to sustainable sourcing? If your requirements create new costs for your suppliers, they may want to pass those on to you. 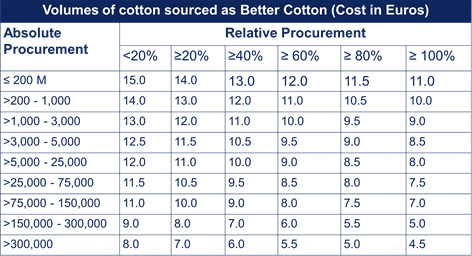 For example, although cotton sources such as BCI are supposed to be cost neutral, your supplier may need to purchase a smaller – and therefore more expensive – quantity to meet your needs. Establish whether these are upfront or ongoing costs and – if they seem fair – consider including them in your strategy. What are your timelines? How flexible are you? As you’re probably aware (by now! ), changing suppliers can take time. Your suppliers may have to go through the same internal and external processes as you, so the more support you can give them in this, the better. At the same time, be as clear as possible about your expectations and deadlines. Can you guarantee demand for more sustainable cotton? The changes that you’re asking your supplier to make may represent a risk to their business – particularly if it involves changing supplier. 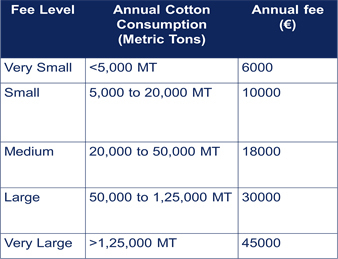 Can you make a long-term commitment to purchase a minimum quantity of sustainable cotton if they can guarantee it will fulfil your criteria? It may seem obvious to you why your suppliers would benefit from sourcing more sustainable cotton. However, many brands are either approaching these discussions via a sustainability team, or in a piecemeal way that gives little confidence to suppliers that their investment of time or money will be worthwhile. Taking the time to understand the wider business case for sustainable cotton for your suppliers will be invaluable for achieving your sourcing goals. This is perhaps the most obvious business benefit for your suppliers. If they can help you source more sustainable cotton, you will be able to continue to purchase garments from them. If your goal is to keep increasing the amount of sustainable cotton you source, make sure you communicate this ‘bigger picture’ to your suppliers. The shift to more sustainable cotton will require greater collaboration between your business and your suppliers. Opening new channels of communication will help you build more transparent and rewarding business relationships. Your understanding and sympathy for the issues they may well face as they accommodate your demands is important, particularly if you are also asking them to increase their transparency on the nature of the relationships in their own supply chain. As you are no doubt aware, the garment and textile industry is shifting towards sourcing more sustainable cotton. By helping your suppliers meet your needs, you are also helping them prepare to meet the needs of other brands on similar journeys. This puts them in a good position to benefit as demand for more sustainable cotton grows. It is important to share your company policy for sourcing more sustainable cotton with the right people and through the right channels. Identify and communicate with any relevant internal teams, and make sure you align within any product-based training. This communication can come through existing internal channels, in briefings or via workshops, with additional information shared internally as a reference guide or cotton sourcing toolkit. It is important at this stage that your designers and buyers understand the importance of sustainable sourcing and are equipped to deal with supplier questions. In the future, questions around sustainability will become standard to the beginning of any supplier relationship.